Write, Shoot, Premiere... all in a week! Our 2019 Film School courses are now open for applications! Read on to find out more about these exciting and popular courses and for this years dates and locations. At Zylo Performance Film School, attendees write, direct and star in their own 15 to 20 minute films and then premiere them at a real cinema. Every week four groups, each supported by an experienced tutor, create their films using professional HD cameras and equipment as well as green screen technology for special effects. 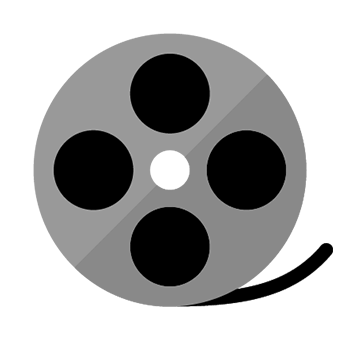 Everyone who attends receives full HD downloads of all the films from the week (and some bonus content... bloopers!) and a certificate. Over the last five years our Film Schools have been getting more and more popular with attendees having created over 140 short films so we must be doing something right! Our tutors are all advanced DBS checked and specialise in a mix of disciplines like camera operation, sound, acting, direction, writing, production and editing. Insurances, health and safety policies, first aiders and child protection training are all in place… and our tutors are great fun too! 8th - 11th April, 9am - 4pm. Open to 6 - 14 year olds. Sunday 10.30am premiere at the Hailsham Pavilion cinema. 36 places available. 15th - 18th April, 9am - 4pm. Open to 6 - 14 year olds. Saturday 5pm premiere at the Hailsham Pavilion cinema. 36 places available. 29th July - 1st August, 9am - 4pm. Open to 6 - 14 year olds. 5th - 8th August, 9am - 4pm. Open to 6 - 14 year olds. 12th - 15th August, 9am - 4pm. Open to 6 - 14 year olds. Premiere location and time TBC. 36 places available. 19th - 22nd August, 9am - 4pm. Open to 6 - 14 year olds. 26th - 29th August, 9am - 4pm. Open to 6 - 14 year olds. 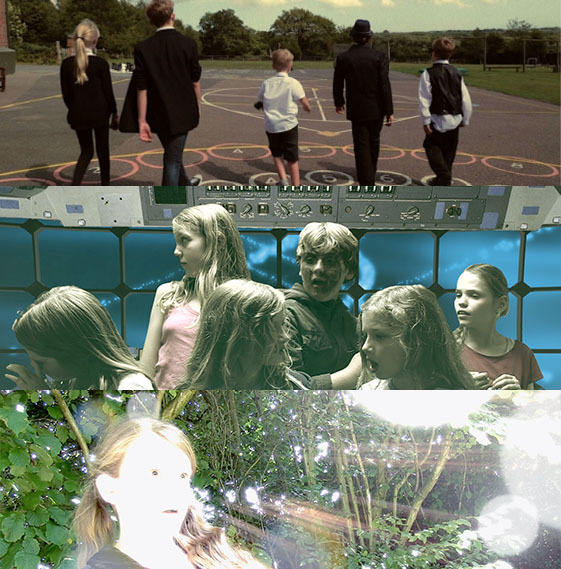 "It's an experience that he will never forget"
The whole Film School experience, including the premiere, file downloads and DVD, is available for one low fee, cheaper than most local theatre/performance holiday schools and cheaper than a lot of childcare in the South East! Two or more spaces (siblings only): £160 each (£20 discount per child). Multiple bookings for one child: £160 per booking (£20 discount per booking). Use the form below to book places on this years courses. If you have any questions feel free to contact us or read on below for testimonials about our previous Film Schools. What do people think of film school? "I am writing to say thank you for the amazing week you have shown Felix. Every day he was full of enthusiasm and delighted to go in, he seems to have made genuine friends in a week and it was heart-warming as a parent to see him thrive. The whole experience has been very professional and I would recommend you to anyone." "Thank you so much for the film school this week, James had a fantastic time and i am sure it's an experience that he will never forget. James has already said that he would really love to do it again." "I just want to say thanks to you and your team for putting on such a great film school and a fun finishing ceremony. Ava really enjoyed it and is keen to do again. I find it hard to find things she wants to do especially that involve working in a team. She's not keen on sport but loves storytelling, so this is great. I expect she'll be enrolling again. We've watched the films over and over, continue to laugh, and are now quoting from them! It's clear how hard all the tutors must have worked on them." "Thank you so much for having Benedict on your film making course. He really enjoyed every bit of it and still talks about it often. He is very keen to join the next one. I was very impressed with the quality of the resulting films, especially given the very short timescale. This shows how very professional you all were and how incredibly hard you worked." "Marcie has had an amazing week. Each day she has come home full of tales of zombies, clapper boards and futuristic cowboys. Such is her commitment, she has got ready each morning without nagging and has stayed up late practicing her lines. I want to thank you for providing her with such an amazing experience which, I am sure that she will always remember." "Amy, Sam and Jamie would like to say a BIG thank you for the past week. We as their parents would like to say a BIGGER one! We all watched the DVD twice when we got home, and it gets better every time you see it. The kids had a blast this week, including Jamie, who, Monday morning was not convinced he wanted to come! Great work chaps." "Just wanted to say that I was really impressed with what you and the kids had achieved in the week. They all seemed to have really learnt something and enjoyed themselves enormously." "I have learnt how the boom mic works and enjoyed using the camera. The teachers are really entertaining, it proves that you are never too old to have fun." "This week was really good. I really enjoyed it, I had so much fun!!!!!!!!!!!!!!!!!!!!!!!!!!!!!!!!!!!!!!!!!!!!!!!!!!!!!!!!"